Daily8 Banyak beli shares by Rozali wife. kahhoeng Does that mean Selangor state government going to compensate Puncak?!? KUALA LUMPUR (Nov 7): Former Selangor Menteri Besar Datuk Seri Azmin Ali has withdrawn a counterclaim against Puncak Niaga Holdings Bhd in the Court of Appeal which relates to its RM14 billion lawsuit against him and his predecessor Tan Sri Khalid Ibrahim. “Puncak wishes to announce to the Exchange that the hearing of Datuk Seri Azmin’s appeal to the Court of Appeal against the High Court's decision in dismissing his counterclaim against Puncak that was scheduled on November 5, 2018 was vacated as Datuk Seri Azmin had withdrawn the said appeal,” the company said in a brief filing with Bursa today. KUALA LUMPUR: More veteran leaders from several states are expected to join Parti Pribumi Bersatu Malaysia, says Tan Sri Dr Rais Yatim. Its Negri Sembilan chief, however, declined to divulge names, saying that the party leadership is currently vetting the names of those interested. "I can't say who they are because this will complicate matters. An agreement has been requested so that we don't make any premature announcements that will affect certain individuals. We just wait. "There are many of them but it's not right to give out their names because they choose according to their own time and schedule. "At a certain time, they will give their own comments," said Dr Rais when met after the launch of the art exhibition Splendours of Malaysia - Paintings of Ethnic Cultures of the Land at Wisma Kebudayaan Soka Gakkai Malaysia (SGM) here on Sunday (11 Nov). Dr Rais said former Wanita Umno chief and former international trade and industry minister Tan Sri Rafidah Aziz, who recently expressed her wish to join Bersatu, chose to do so in her own time and pace. "So will be the case with several veteran politicians from Johor, Kelantan and even Kedah, who have voiced out their views and wish (to join Bersatu)," said Dr Rais. He said the names will be decided by the leadership as it takes time to vet the candidates to ensure that they are not involved in wrongdoings such as graft. "It will be done in stages according to states. There are also young ones looking to join, and not just veterans," he said. However, he said that as Prime Minister Tun Dr Mahathir Mohamad had warned before, their entrance into the party must be made sincerely and with good intentions, and not to gain positions. Destructive old habits such as corruption and sidelining the Federal Constitution must be left behind by those who wish to join the party, he said. Dr Rais added that what was important for the party was to modify the administration of its headquarters. He said this is to improve its productivity as there had been issues where membership registrations took a long time and so did the issuance of membership cards. Earlier, Dr Mahathir launched the art exhibition by renowned local artists Ismail Embong and his daughter actress Emma Maembong. SexyE In d recent agm tan sri rozali reminiscent on how tun dr mahathir granting him d syabas concession previously where tun told him to take good care of d syabas concession for d whole of life time. But now syabas concession no more. Tan sri was confident of getting some of d water projects soon going forward. JJchan It is irony people like Rozali would like to take photo with Mahathir when Pakatan took the Trophy. Edward Wong so low the prs.! Puncak result is in fact improving compared to the last year 30/9/2017. The cash and cash equivalents have heightened and improved significantly to 595mil from 238mil. Both operating expenses for construction and plantation dragged by losses but the losses have improved quite significantly. Concessions expenses are high too maybe newly invested. TRIPLC after May 2018, has become wholely own subsidiary by Puncak which is another good news. rogers123 Hahaha. Cash improved from 238 million to 595 million. But Liabilities has increased from 574 million to 1680 million. Welldone Daily8! Daily8 rogers123, why well done me? It's according to the report. Are you shareholder of Puncak? It seems like you're here to tarnish and badmouth stock. Richard Hiew roger/daily..... qrtly report says cash increased b cos of loan draw down. Daily8 The material litigation to sue Azmin and Khalid due to the WASIA ACT needed to be executed. Then, next the company may need to do impairment. Now, question is,what is Rozali going to do with Puncak? kilrathi what is the analysis with Puncak ?? anyone in the knows here ? 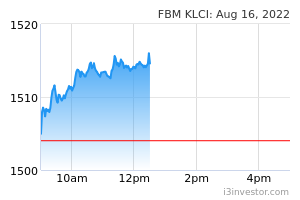 Daily8 The damaged that done during Azmin Ali as the menteri Besar Selangor have scarred Puncak share price. Therefore, the litigation going on, determining Puncak winning the case will post a clearer picture for Puncak shareprice direction. Daily8 u still hold Kahheong? firehawk is good some one points out cash improved but liabilities also deteriorated ... for so many years, ppl here only telling the good side of the story, high NTA, cash rich ..... etc. not only they are in huge loss now, those follow their opinion also suffered. Daily8 Realistically, I don't know the direction of Puncak. After the water issue in year 2015, Puncak slide till nobody know what is next. No projects, no income, the Director doesn't seem to initiate progress. The best part is, it's high cash. Does this company have corruption issue going on? Daily8 Now the whole market is going nuts with correction already setting in. Almost 90% people who have entered the market long time are deepened by losses. kilrathi Puncak daily going lower ... whats the story ? Daily8 material litigation, lesser profit and more seller. Daily8 Very shameful for a cash rich company to be in this state. 5SenDividend Rozali better be starting to do the right things otherwise till the day he dies, which may not be exactly that far ahead, he will not get to enjoy the high cash in hand, and the share price will remain depressed. Also, the real possibility that he may lose the company when he is gone as his son is not interested and not as capable. Rozali should start immediately by paying at least a 5 sen interim dividend now, which the company can afford, and to make paying a 5 sen dividend a yearly payment. All shareholders should write in to Rozali for him to wise up. SexyE Muhhibah's almost completed port contract too got cancelled by PH, Puncak's UITM contracts very likely will be terminated. Daily8 A public listed company like Puncak if money in Rozali pocket, time to launch BURSA QUERY. commonsense Those that are invested in this company did so because of the very high cash balance in the company’s books amounting to RM833.6mil (inclusive of short-term investment). They hope that the company will reward investors later by paying higher dividends. I doubt Tan Sri Rozali will do that. He would most probably try to use the money to buy businesses that could contribute to the company’s profit later in the future. The problem with this strategy is the investment horizon of the company’s acquisitions are a lot longer than what some investors are willing to wait. Take the acquisition of the plantation business from Shin Yang which the company paid around RM250mil back in 2017. Till now the venture has yet to record any profit with losses increasing to RM49mil in 9m18. It would be a while before investors can see any meaningful profit from this venture given that most of the plantation land is still vacant so the company will need to spend capex for the planting of palm trees. Till the trees matured, investors need to expect that the division will continuously record losses in the near future. Other businesses like the construction and O&G divisions also failed to take off with combined losses of RM13.2mil for the 9m18 period. Given the current market uncertainties, I doubt that these 2 divisions will be able to deliver any meaningful profit in FY19. The only bright spot is the UiTM concession business with PBT of RM17.4mil for 9m18. Normally the profit should actually go up in the future in tandem of the concession agreement. It seems that the only business where the company can actually perform are concession type businesses. This might be a challenge in the future given the change of the government to Pakatan Harapan. Tan Sri Rozali was previously the UMNO treasurer for Selangor which some people say is why he got the Syabas (Puncak sold it to Selangor state for RM1.4bil) and Puncak Alam UiTM concession in the past. If you are looking to diversify your portfolio outside of Puncak Niaga (due to its earnings uncertainties) I would recommend you to look at MBMR. For FY19 growth will be driven by the still high demand of new Myvi and the newly launched SUV Aruz and also the newly revamp Alza in 2H19. I am projecting a profit to shareholder of RM160 mil for FY19 which at the current price values MBMR at only 6.2x PE. SexyE It maybe good for the concessions to be terminated as the compensation can then be used to pay a special dividend. The concessions income is not helping the share price anyway. Daily8 rogers123, u better shut up lah, always give Kah Heong negative comments. cutie Sites, why the result is so bad? What causes it to the results. IronShirt roger, your Grand master hng33 started parking in KPS today,,,,,why are you still here? That expert firmly believe Puncak is value buy ... even @2.00 a few yrs ago. Do not know whether that expert learned and awaken from his childish thinking and acts, after many yrs .... or he still think Puncak is still a good buy despite there are many other counters in KLSE?